The project ends with different restitutions : exhibitions and meetings with families in the schools. It relies on three digital tools in order to ease the knowledge management (Datadanse, Numeridanse et DanceNote). Finally, thanks to a partnership with Le Regard du Cygne, the project is widening for the third edition and will include next year 400 hours of artistic workshops, regularly dispatched, for pupil of the school “école des Amandiers” and secondary school “ collège Robert Doisneau” (Paris 20), for two others pre-schools and elementary schools of the neighbourhood. The association wishes to duplicate the project to the other schools of the Robert Doisneau education network (priority education network), and possibly to others schools located in the east of Paris in the following years. The successful completion of the project is possible thanks to the involvement of 2 team, an operating one and an artistic one. The operating project is composed of Orianne Vilmer, the president of La Fabrique de la Danse (LFD), Alexandre Legay (LFD) , the administrator of this project, Clara Schwarz (LFD), the coordinator of the whole project and Camille Verdeau, the coordinator for Le Regard du Cygne for the secondary school, and of the two directors of both schools, François Bonnard et Karim Yahiaoui. The whole teaching team is also involved in designing the content and methods of the sessions. The artistic team is headed by Christine Bastin, the artistic director of La Fabrique de la Danse, an experimented choreographer who took part in designing the methodology during the first edition. 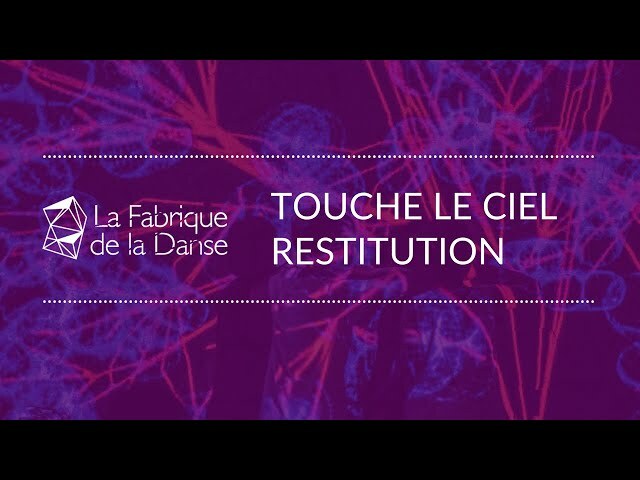 The young choreographers who facilitated the dance sessions are Tess Blanchard, Marie Simon, Anaïs Rouch, Elsa Lyzcko, Rémi Esterle, Marion Parrinello, Smaïl Kanouté, Marie Désoubeaux, Sylvain Riéjou, Nicola Vacca , Delphine Demont, Eva Klimockova (slovak). All belong to the La Fabrique de la Danse and Le Regard du Cygne networks. The artistic team is also composed of the videast, K Goldstein, who takes photos and videos to the instagram page and the documentary film, and of the photograph Emmanuelle Staüble. All these professionals have been selected for their willingness to take part in this project and their capacity to learn and to adapt to school environment constraints.